HELEN BAMBER was 19 when she travelled to Bergen-Belsen with the Jewish Relief Unit to work with survivors of the Holocaust. She died in 2014, aged 89, having spent the intervening seven decades working to support survivors of torture and human cruelty. A recipient of an OBE and described by Sir Geoffrey Bindman as one of the ‘outstanding humanitarians of our time’, her real legacy is in the institutions she helped build which placed the pursuit of dignity and support at their heart. On her return from Germany, she was able to react, and did, becoming responsible for more than 700 orphaned children through her work at the Committee for the Care of Children from Concentration Camps. She described the changing attitudes of authorities to those initially viewed as ‘examples of human resilience amid unspeakable atrocities’ as ‘very frightening’, and later spoke of the need for every generation to ‘fight for its morality, its humanity’. Helen joined Amnesty International shortly after its inception, chairing the British section’s first medical group. In 1985 she established The Medical Foundation for the Care of Victims of Torture (now Freedom from Torture) in response to a call from British doctors ‘who said they did not have time to deal with the complexities of torture survivors coming to the UK or “to listen to their silences”’. She remained at the helm of the organisation, which set out to provide survivors with medical treatment, counselling and therapy and to document evidence of torture, for almost 20 years. 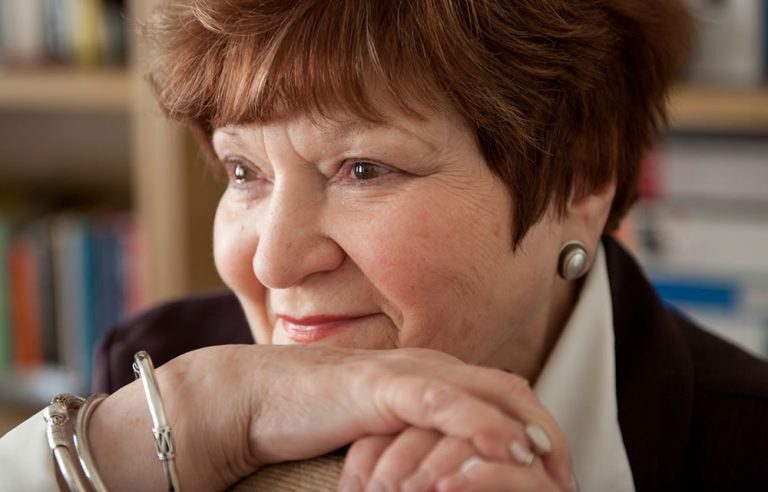 In 2005, aged 80, Helen started the Helen Bamber Foundation, a human rights charity that offers therapeutic care, medical consultation, legal protection and practical support to survivors of human rights violations. Their work, providing ‘specialist care to meet the complex needs of some of the most marginalised and vulnerable people in the world’, continues today. Quoted in T.J. Law, Helen Bamber obituary, Guardian, August 2014. See https://www.theguardian.com/law/2014/aug/24/helen-bamber (accessed 26 February). Louise France, ‘The amazing Mrs Bamber’, Guardian, May 2008. See https://www.theguardian.com/lifeandstyle/2008/may/11/women.voluntarysector (accessed 26 February). Adam Bernstein, ‘Helen Bamber, who helped war, genocide and torture victims recover, dies at 89’, The Washington Post, August 2014. See https://www.washingtonpost.com/world/helen-bamber-who-helped-war-genocide-and-torture-victims-recover-dies-at-89/2014/08/26/23cc1eac-2c6a-11e4-994d-202962a9150c_story.html?utm_term=.f18de0dc9c6c (accessed 26 February). ‘About us’ section, Helen Bamber Foundation. See http://www.helenbamber.org (accessed 26 February). Category: Blog, History, Social History	0 Comments.